This Irish box features fine bone china that is accented with green shamrocks around the base along with the lid. 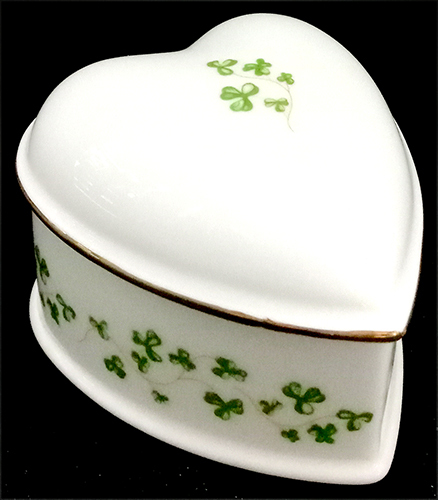 The heart shaped shamrock box measures 2 3/4" wide x 3" long x 2" deep and it is ideal for jewelry and trinkets . 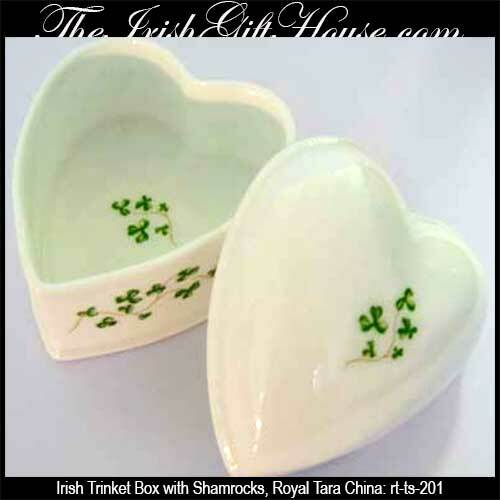 The Irish jewelry box is made in Ireland by Royal Tara China and is gift boxed with a shamrock history card that is complements of The Irish Gift House.